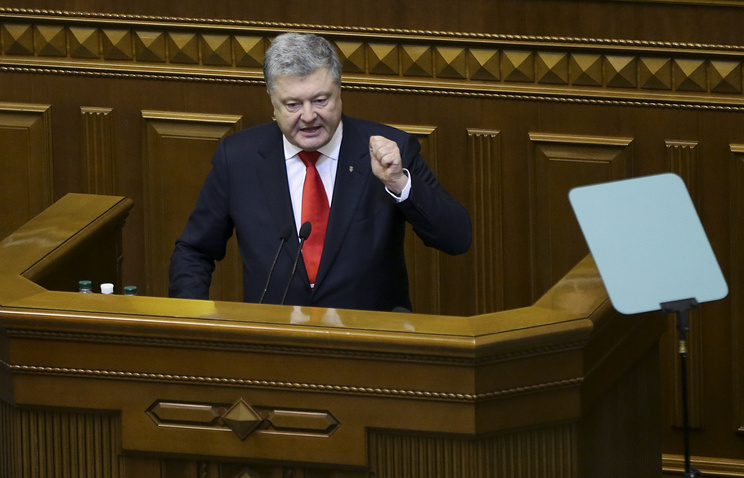 Poroshenko "used sailors as bargaining chip in a political game"
MOSCOW, November 27. /TASS/. Ukrainian President Pyotr Poroshenko has used sailors, detained in the Kerch Strait incident, as a bargaining chip in his political game, Russian Security Council Secretary Nikolai Patrushev said in an interview with the Argumenty i Fakty (or Arguments and Facts) newspaper. "Ukrainian navy sailors became a bargaining chip in the political game President Poroshenko and his associates play, who are ready to commit any crime trying to improve their chances to remain in power," Patrushev said. "However, as is known, the chances are low under the current circumstances," he added. The Kerch Strait provocation points to Poroshenko’s plans to build his election campaign around fake threats, Patrushev said. "After declaring martial law and partially restricting human rights and freedoms, he may call off the presidential election citing the need to protect the people of Ukraine," he noted. According to the Russian Federal Security Service (FSB), on the morning of November 25, three ships from the Ukrainian Navy - the Berdyansk, the Nikopol and the Yany Kapu - illegally crossed Russia’s border and tried to carry out some illegal actions in Russian territorial waters later in the day. They ignored legitimate demands to stop issued by vessels belonging to the FSB Border Service and the Black Sea Fleet and continued maneuvering dangerously. In order to stop the Ukrainian ships, weapons had to be used. The three vessels were detained in Russian territorial waters. Three Ukrainian military servicemen suffered light wounds and were provided with medical assistance. Following the incident, Kiev a declared 30-day martial law in some of the country’s regions. At the same time, the Verkhovna Rada (parliament) confirmed that the presidential election would be held on March 31, 2019, as it had been planned before. "The border provocation once again shows that Poroshenko has no clear electoral program and plans to build his election campaign only around fake threats," Patrushev said. "After declaring martial law and partially restricting human rights and freedoms, he may call off the presidential election citing the need to protect the people of Ukraine," he noted. According to Patrushev, "Kiev’s actions have been a constant source of threat, while the Sunday incident became another one on the list of the Ukrainian authorities’ crimes." "The illegal border crossing by Ukrainian navy ships is undoubtedly a blatant violation of international maritime law and looks like a planned provocation," he said. The Russian Security Council secretary pointed out that Poroshenko was unable to improve the dire situation in the country. "Kiev cannot tackle even the most pressing problems the impoverished Ukrainian people have been facing," Patrushev noted. "The country’s industry has nearly collapsed, millions of Ukrainians have to work abroad, while most of those who stay in their home country earn scanty wages and face back pays," he elaborated, adding that "many of the businessmen close to the Kiev authorities are involved in budget embezzlement, corruption, arms trading and fraudulent activities." Patrushev also pointed to the alarming epidemiological situation in Ukraine. "US-controlled biological laboratories have replaced the Soviet public health and disease control system," he noted. 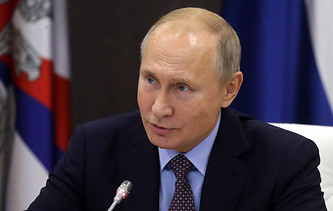 "As a result, the situation is alarming as far as the spread of poliomyelitis is concerned, while the spread of tuberculosis, diphtheria and measles poses a threat to Ukraine’s neighboring countries," the Russian Security Council secretary stressed.